One of our favorite parts about fall is that it’s the season when all the top beauty brands start releasing their holiday collections and highly anticipated advent calendars. The beauty “calendars” are actually sets usually filled with 12 of the brand’s bestselling and most iconic products. Since Charlotte Tilbury is one of our go-to beauty brands for high-end skincare and makeup, we’re overflowing with joy that they just dropped the advent calendar to end all advent calendars. The gift giving season just came early for Us and we will definitely be treating ourselves to this luxury box of goodies. 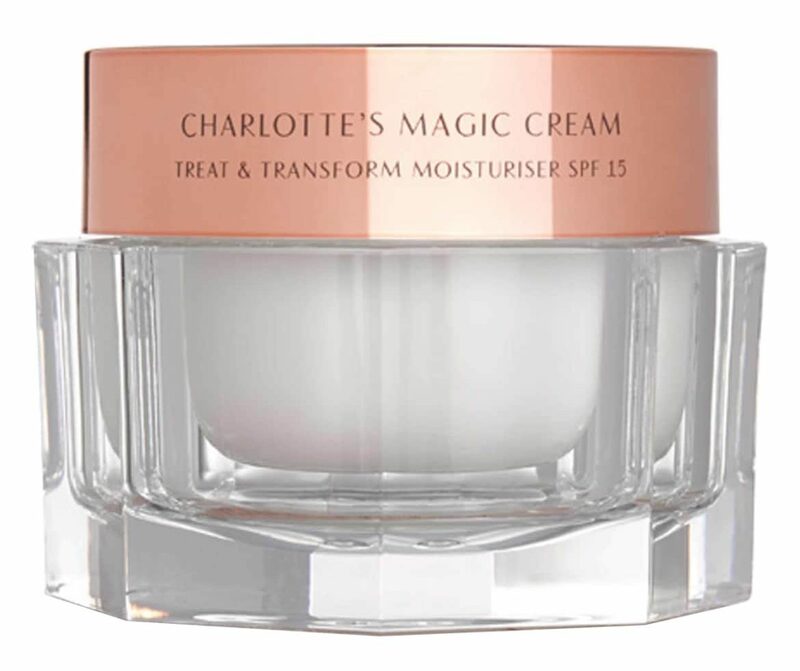 We are obsessed with the Charlotte’s Beauty Universe Collection by Charlotte Tilbury. This set is going to look lovely sitting on our bathroom counter! See it: Get the Charlotte Tilbury Charlotte’s Beauty Universe Collection for $200 while it’s still in stock. Also available at Bloomingdale’s for $200. Of course, what has Us most excited are all the picks inside meant for Us to score a major glow. The Beauty Universe set comes with nine travel size products and three full size options. The full size picks in the Beauty Universe set include a non-creasing eyeshadow, a color-enhancing eyeshadow pencil and a matte liquid lipstick. The travel size products in the lineup include the Goddess Skin Clay Mask, Multi Miracle Glow (a cream-to-oil cleanser, mask and balm), the Take It All Off eye makeup remover, the Supermodel Body Simmer Shimmer (hydrating body shimmer), Wonderglow (anti-aging primer), Rock ‘n’ Kohl mascara, Matte Revolution lipstick and mascara. Our favorite travel size product in the advent calendar is the famous Magic Cream used by celebrities like Amal Clooney, Kate Moss and Cindy Crawford. 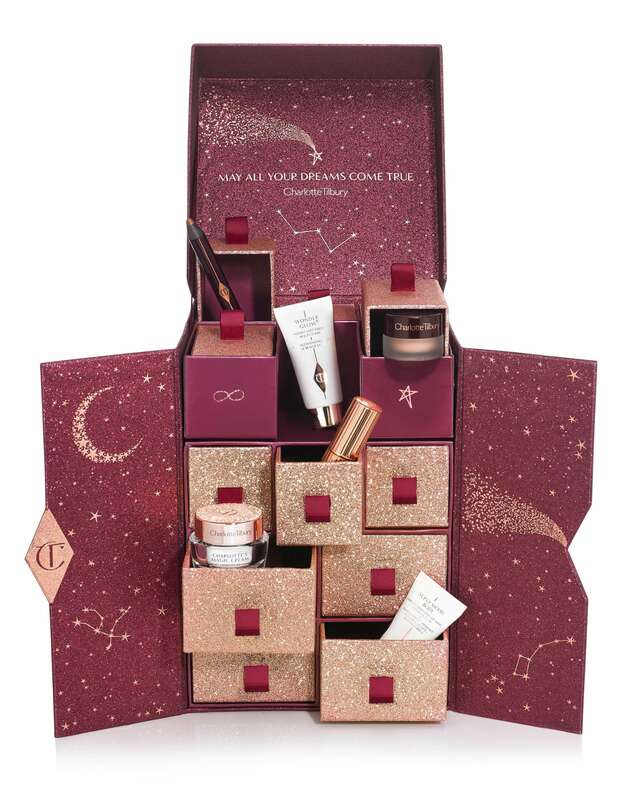 In other words, Charlotte Tilbury is out to give Us all the makeup and skincare products we need in one beautiful advent calendar set. We cannot wait to play with every product in this collection. Now, who is ready for some luxury glam?